recipient: Animal lovers who want choice when it comes to the care of their pet. Protect your rights as a consumer to choose which qualified provider you want to render physical therapy and rehabilitation for your animals. Please show your support by signing this petition! We, the Animal Physical Therapy Coalition (a grass-roots coalition comprised of consumers, physical therapists, and veterinarians) are facing significant resistance from the California Veterinary Medical Board (CVMB) and the California Veterinary Medical Association (CVMA). Their objective is to write a law that would allow only veterinarians to provide animal rehabilitation independently. Highly trained, certified, and qualified animal rehabilitation physical therapists (PTs) would be required to work in a veterinarian's office, only under direct supervision from an on-site veterinarian who may or may not be qualified to render physical rehab services themselves. 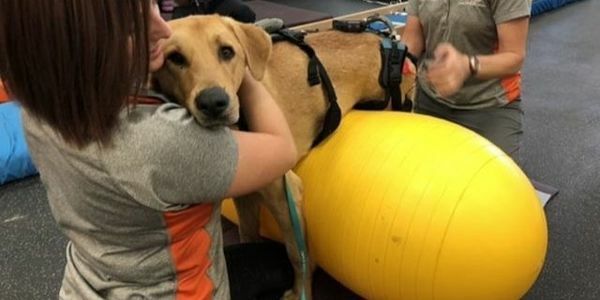 If passed, this law would severely limit the number of specialist physical therapists willing to practice in California, and deny consumers access to the best trained professionals for their companion animals. In 2017, a specially appointed task force recommended that certified PTs (i.e. licensed PT's with advanced training specifically on animals) be allowed to practice under "indirect" veterinary supervision. This would allow a licensed PT certified in animal rehabilitation to provide rehab services to animals, but only AFTER being examined by a veterinarian who determines the diagnosis and decides that the animal is appropriate to receive rehab services. The animal would then need to be referred to the qualified PT by that veterinarian, who would then provide indirect supervision of therapy services and oversight of the animal's plan of care. This is a standard and customary approach in both human healthcare and has proven to be a successful model in animal healthcare in many states and internationally. By signing this petition, you will let the Legislature and the California Veterinary Medical Board know that you support the language that was passed by the California Veterinary Medical Board Stakeholder's Task Force in 2017, and that you want that to determine how PTs practice animal rehabilitation in California. Restricting consumer access to physical rehabilitation delivered only by a veterinarian or in a veterinarian's clinic (including for horses) would significantly increase your cost for these services, put successful and legitimate existing rehab practices out of business, would not result in increased consumer/pet safety, deny pets/consumers much needed services, and most importantly, will take away your right to choose who you want to treat your animals. If the CVMB and CVMA have their way, they will effectively create a monopoly in favor of veterinarians who may or may not have any training in rehabilitation and physical therapy. A physical therapist's unique skill set is different than a veterinarian's. Your signature helps to clarify to the Legislative Oversight Committee of the California Veterinary Medical Board (and the CA Vet Board themselves) that having access to a physical therapist's skills is important to you and crucial for the care of your animals. Join the movement...show your support today with your signature and comments!